Many farmers are not aware of the laws or regulations when flying their drones, according to rural insurer NFU Mutual. As the potential for drones to be used for more tasks in modern agriculture increases, there has been an increase in enquiries from farmers about insurance and their legal position. Drone technology is developing fast and is already offering exciting possibilities - including precision application of crop treatments - and detailed surveying. But to help farmers understand the rules on drone use and provide insurance to meet farmers’ needs, the Civil Aviation Authority, rural police forces, and agricultural specialist providers such as DroneAG, have produced new guidance. 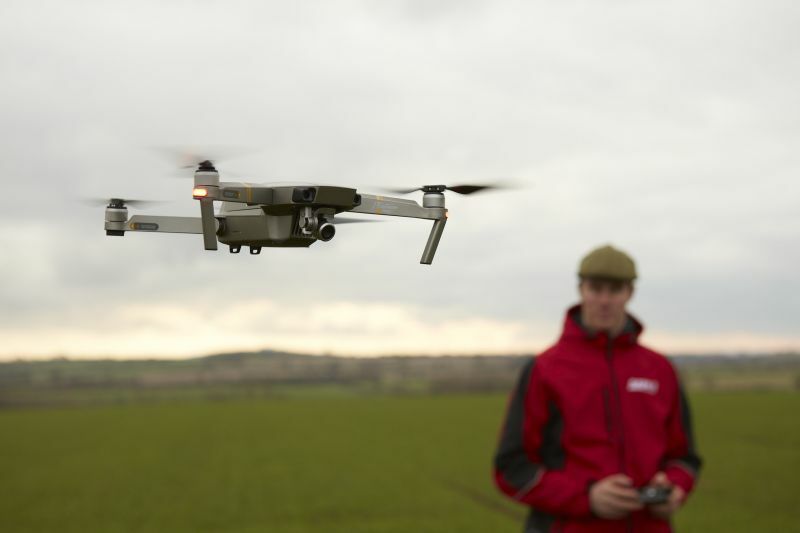 Charlie Yorke, NFU Mutual Farm Technology Specialist, said: “It’s worrying that some farmers buying a drone don’t realise that there are laws which have to be observed when flying them. “This includes specific insurance cover, and consideration when they are receiving money for flying their drone as a service to other farmers. In the case of a farmer surveying his own crops with a view to alter how he would manage the crops, either by spraying or cultivating, this would not be classed as a commercial operation - it is classed as a non-recreational flight, NFU Mutual said. The company said that insurance is required to cover the third party liability risks but a permission for commercial operations is not needed. Farmers are increasingly using drones to inspect crops, and monitor field/soil health to maximise output. They are also being used for remote surveillance of livestock. Specialist drones combine visual light and thermal imaging cameras to deliver a level of insight into field crop health that is not obvious to the naked eye. Thermal imaging can also detect dry areas and ensure water is delivered where required. Low flight costs also offer an opportunity to frequently overfly field crops and create a time lapse view that highlights development or disease problems.